Pizza might be my favorite food out there. Cheese...carbs...yummy toppings and sauce. What's not to love? The might is only because that is a pretty large commitment to say/make for someone who loves food as much as I do! If it were up to Billy, we would have pizza night every single Friday and while that sounds just peachy and all, the bod just doesn't agree. 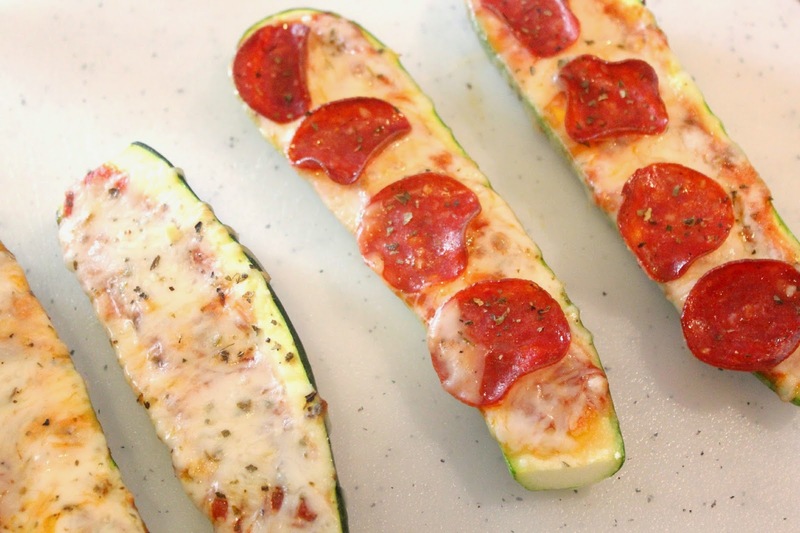 Enter these zucchini pizza boats. I've found that sometimes my pizza cravings are due to wanting the cheese and sauce (the bread usually makes me feel like crap after anyways), and these give you exactly that without all the extra carbs/calories! +any other toppings you'd like! Line a large rimmed baking sheet with parchment paper and set aside. Cut each zucchini into halves through the length (if they don't lye flat trim a thin portion from bottoms so that they will lye mostly flat) Pat insides dry with paper towels. 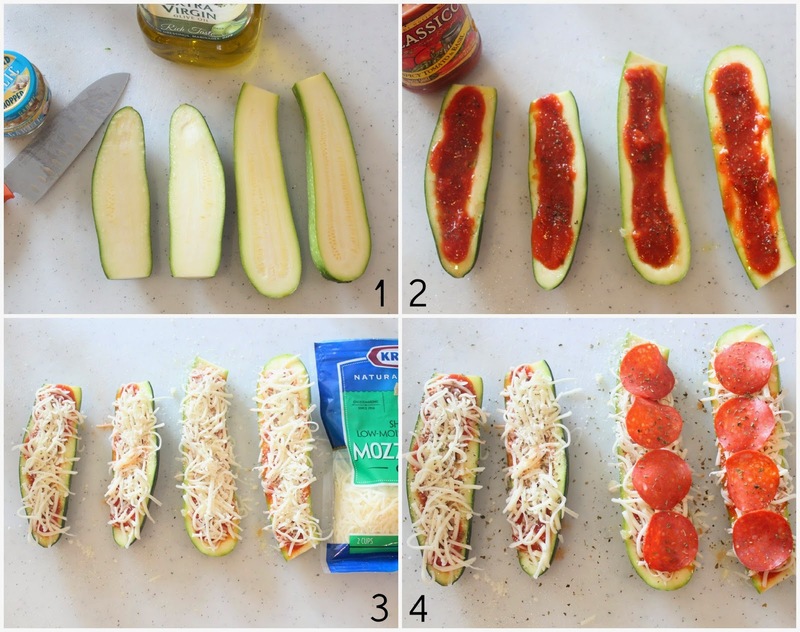 Take a spoon and "carve" out the seeds so that your sauce can sit in the zucchini a bit. Align them on prepared baking sheet. In a bowl, stir together olive oil and garlic then brush lightly over tops of zucchini. Sprinkle with salt and pepper to taste then spoon a slightly heaping of marinara sauce over each zucchini, leaving a small rim near edges uncoated. 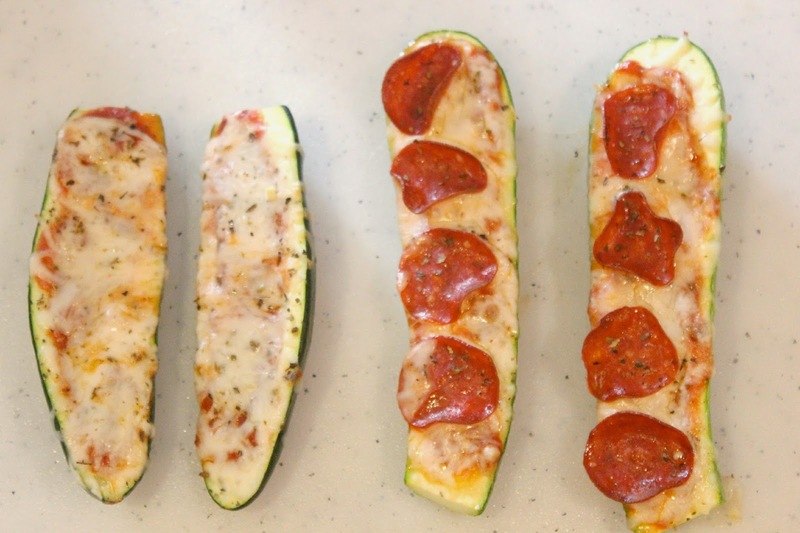 Top with pepperoni slices and any other toppings, placing them more near centers so they don't fall off in the oven. Bake in preheated oven 12 - 16 minutes. Cook longer if you want them a little bit more crispy. Remove from oven and sprinkle with chopped fresh oregano. Looks so yummy! We will definitely be trying this! I made these once before but I think where I went wrong was scooping out the middle of the zucchini's - I'm going to have to try it your way! I just saw these on pinterest yesterday and have them in my meal plan rotation for next week! YUM! I can't wait to try these. I've made the Mexican version several times and I love those too. Pizza is definitely one of my favorite foods but I can't eat it very often unless it's gluten-free!! I'm definitely going to have to try these! And SOON! Since we are going to be training for a half marathon soon and we both are obsessed with pizza, Husband and I have been looking for some good alternatives to our favorite food and this is perfect! Thank you so much!! Love this! I'm always looking for an awesome alternative to pizza, other than gluten-free crust pizza. Thanks for sharing! 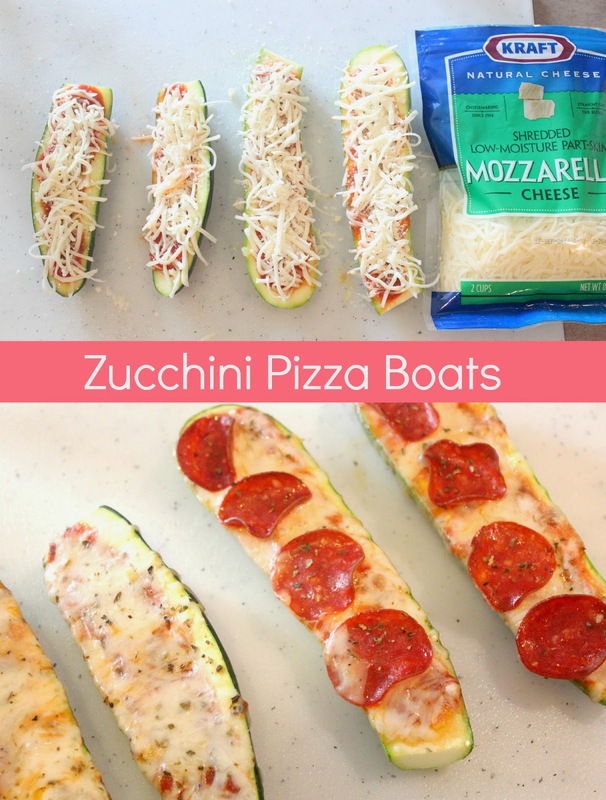 I recently discovered the zucchini taco boats form Skinny Taste but, this is such a great idea as well! Love the idea of doing pizzas!! I know you don't do meats but, you could even brown a 1/2 pound of Italian seasoned ground turkey to add in if you wanted too! Thanks for sharing this yummy recipe!! I made these last night! I prefer these to regular pizza, I'm not a huge bread person.